Universal Studios Hollywood will usher in its annual “Grinchmas” holiday season today as Mayor Eric Garcetti tries his hand at Seussian rhyme while presenting a proclamation to Whoville Mayor Augustus Maywho and helping a host of Whos light the curving Whoville tree. The Grinch — star of Dr. Seuss’ “How the Grinch Stole Christmas” — will be on hand for the ceremonial event, along with his faithful antlered dog, Max, who will be portrayed over the 20-day run of “Grinchmas” by 11 dogs rescued from Los Angeles animal shelters. “Spy Kids” actress Alexa PenaVega and her husband, Carlos PenaVega of “Big Time Rush,” will also take part in the event, as will actress Yvette Nicole Brown of “Community.” About 200 Los Angeles Unified School District students will also be brought to the ceremony. The park’s “Grinchmas” attraction will open to the public Saturday and Sunday, and again Dec. 13-14. It will be open daily from Dec. 19 to Jan. 3. 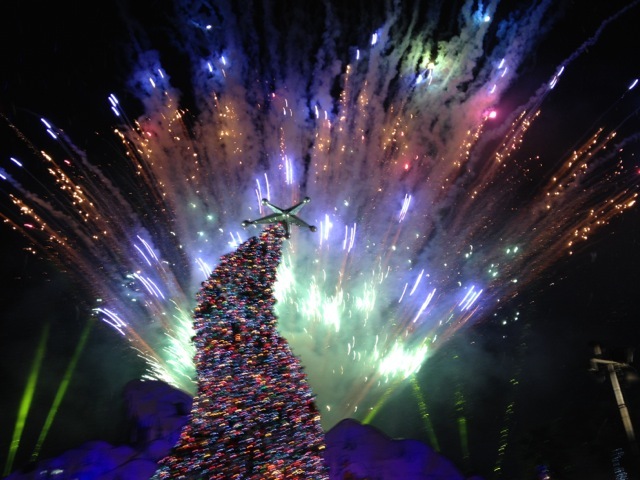 The attraction features cookie- and ornament-decorating stations, story readings by Cindy Lou Who, photos with the Grinch and other Whoville denizens, musical performances, falling snow and the nightly lighting of the 60-foot twisting tree. Admission to the theme park provides access to the attraction. Also during “Grinchmas,” riders on the park’s Studio Tour will get a view of sets used for the film “Dr. Seuss’ How the Grinch Stole Christmas,” along with musical performances by the Whoville residents. The attraction also includes a Whoville Post Office, which features a charitable “Grow Your Hearts 3 Sizes” campaign. Visitors can list their good deeds on a postcard they can mail to the Grinch. For each card sent, Random House Children’s Books will donate a book to a child in need, according to park executives.